Get both lines done quickly? The recent announcement of the New Zealand Superfund wanting to come in and finance, design, build and operation both the Northern Airport Line (City Centre to Airport via Dominion Road) and the North Western Line (City Centre to Westgate) (see: UPDATE: NZ Super Fund Puts in Bid to Design, Build and Operate Light Rail in Auckland) it hand me wondering if any other transit lines might be eligible for such a scheme. The answer is yes I have two transit lines that would be also “tempting” for the Superfund and even KiwiSaver fund. I have always said ‘Dig Once, Build Right, First Time – Every time’ and Minister Phil Twyford said that at the ATAP launch recently as well. 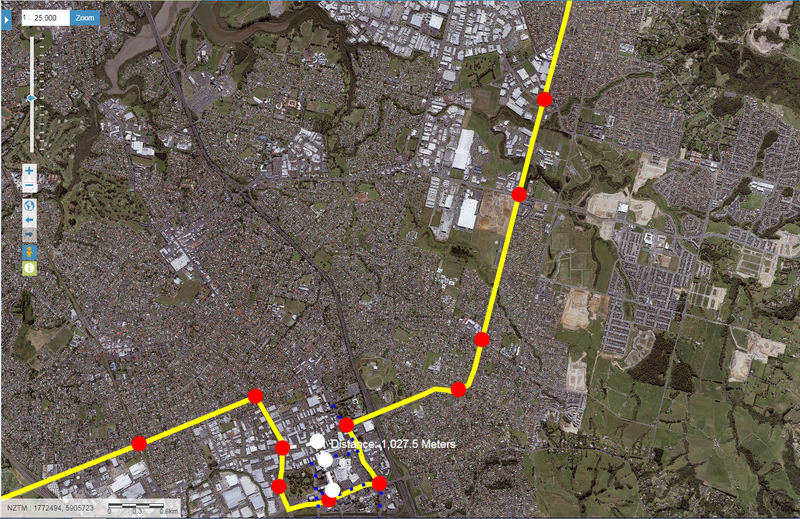 This is why given Auckland has always undershot Rapid Transit Network demand badly we should go to straight to Light Rail for the Southern Airport Line and now the Superfund has presented us an opportunity to do so. 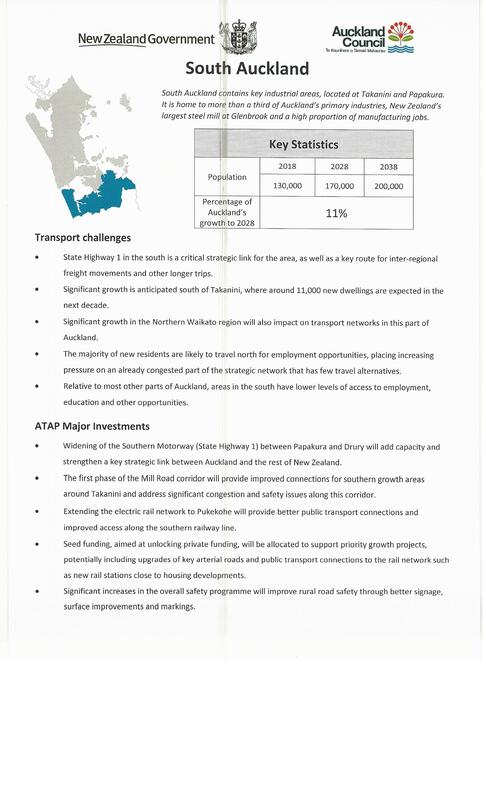 Transport minister Phil Twyford has announced this. But should it be? Light rail to the airport was an election talking point and it makes for a good headline. 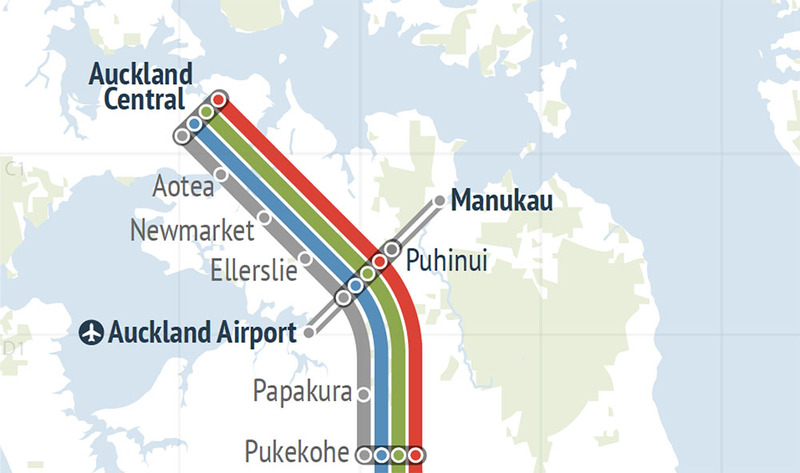 But the part of Auckland in most desperate need of good public transport is the east. 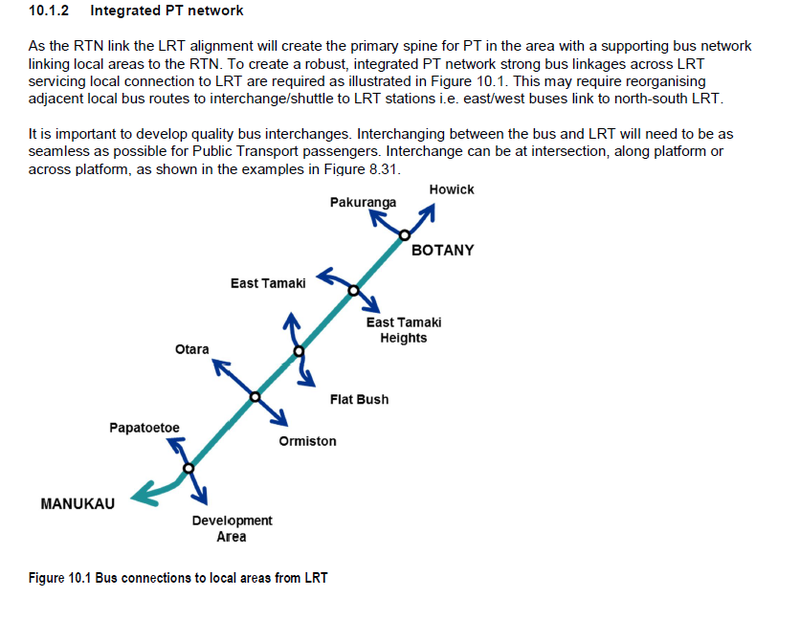 Rapid transit is proposed to link the airport to Puhinui and Manukau, and then Flat Bush, Botany and Howick. It will be a busway like the Northern Busway, to start. Twyford lists that project as number two, but he needs to ensure it gets an early start. 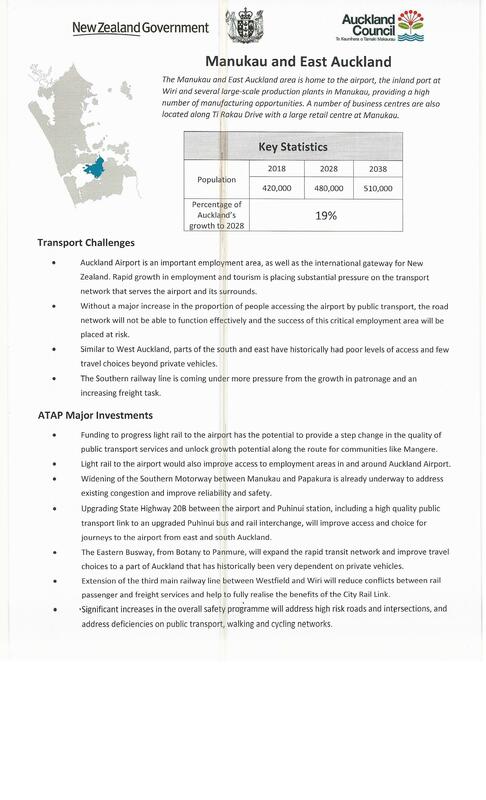 To make the Southern Airport Line more appetising to the Superfund to invest in we need to look at the second half of the ledger to ensure a good return on the Line especially if it is to be Light Rail from go. Enter: The Southern Airport Line – More than a Light Rail Line – A Community and City Builder Too! The Southern Airport Line has 16 stations along it which means 16 chances for quality Transit Orientated Developments. What are Transit Orientated Developments? Intensified residential and commercial development within a set area (often from 800 metres) backed up with civic infrastructure (parks) and good feeders like cycleways and feeder busses. However, one of the sixteen stations will be serving a Light Industrial area along State Highway 20B but this does not mean we can’t attempt a TOD in an industrial area. If the Superfund can speed up the two Light Rail Lines from 10 years to six years from start to completion and operation then I do not see why we can not do the same for the Southern Airport Line and have it all done by 2023. 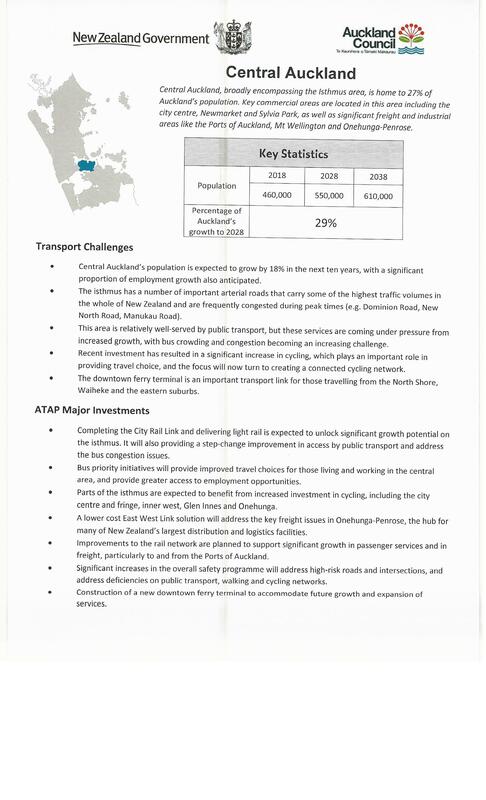 Remember Southern Auckland is the largest and fastest growing sub-region while Puhinui Station links up commuter rail and inter-regional rail to the Southern Airport Line allowing seamless travel to Manukau or the Airport.